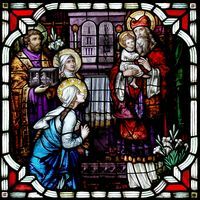 Joseph holds the pair of turtle doves that were used as the sacrifice at the Presentation of Jesus. 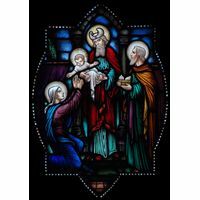 This three-part tableau that depicts this sacred event in the life of Christ is crafted beautifully with rich, vibrant colors from deepest indigo to scarlet and purple hues that cross the full spectrum. 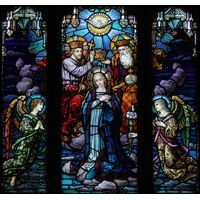 Detail as glittering as crystal and flawless, moving imagery bring this brilliant work of stained glass art to life for believers who are blessed to behold it. 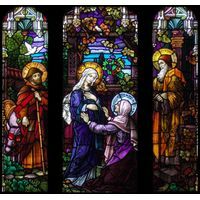 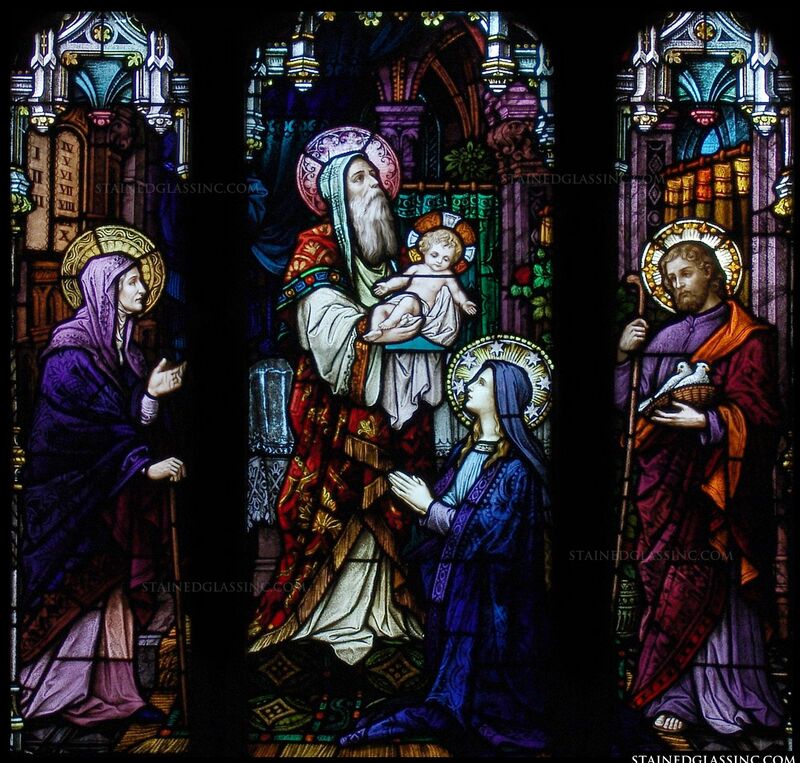 Created as a unique, one of a kind stained glass masterwork in the studios of Stained Glass, Inc., this lovely tableau dazzles the eye and touches the heart of the faithful. 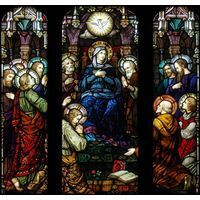 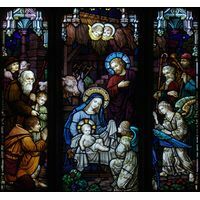 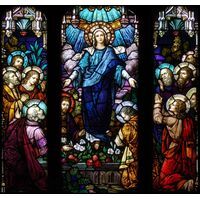 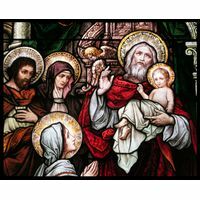 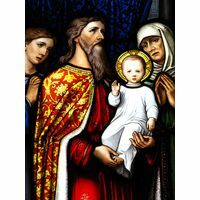 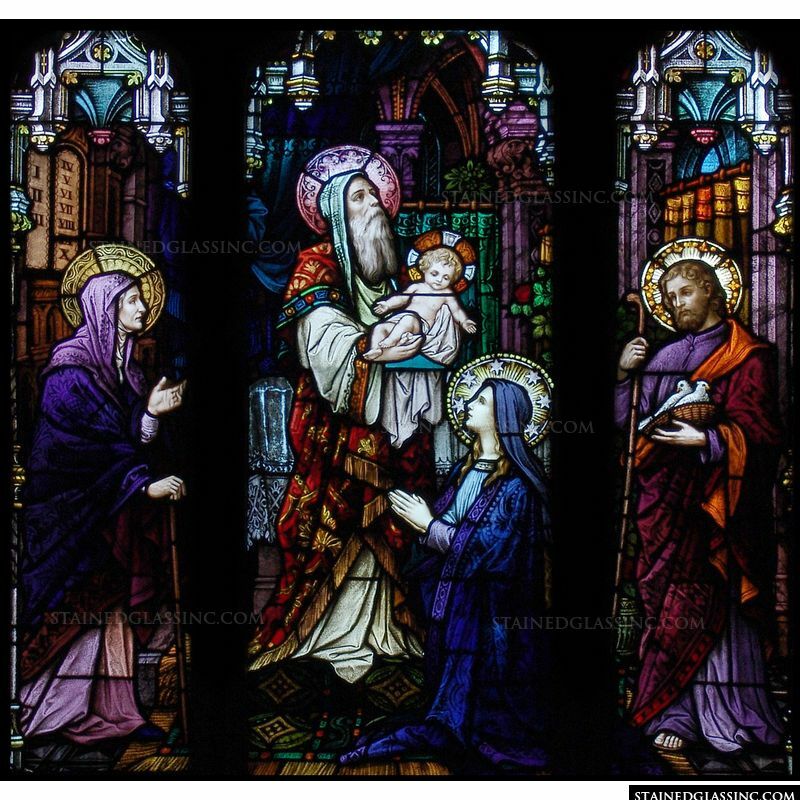 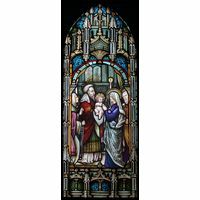 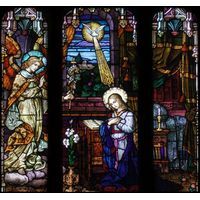 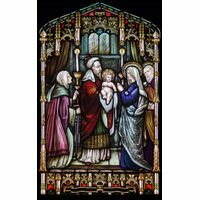 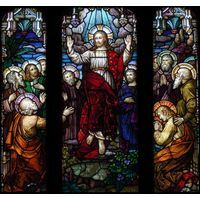 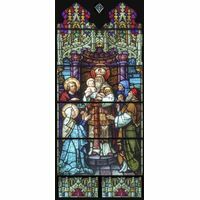 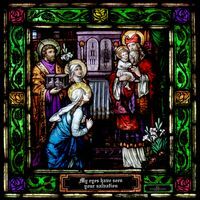 Perfect for enhancing every area of spiritual devotion and worship, church, chapel or cathedral, this stained glass window also lends itself as a signature piece for home or business decor.